Jiangsu businessman Liu Weigao at a meeting of the National People’s Congress in Beijing. The following translation is a detailed exposé of Liu Weigao, the Suqian businessman whose exploits brought down Qiu He, the Vice-Party Secretary of Yunnan Province. The smartly crafted article written by Southern Weekend reporter Liu Jun was published on March 19 on the Phoenix News site. The author is careful not to directly connect Qiu He to Liu Weigao, but the implications are extremely salient. Moreover, the report links both Qiu and Liu to the deaths of two villagers. After Qiu was placed under investigation on March 15, word passed quickly around Kunming that villagers died in the demolition of a village overseen by Qiu’s team. A keen reader will note the usage of citations from the Kunming Daily that ridiculously support the work of the Kunming leadership demonstrating government control of the local media. On March 17, 2015, Zhonghao （中豪） Commercial Group’s official Weixin account posted a notice saying its board chairman Liu Weigao (刘卫高) resigned from his position. Ever since the March 15 announcement of Vice-Provincial Party Secretary Qiu He’s （仇和）arrest, the media has been paying high attention to the name Liu Weigao. Many signs of Liu’s demise appeared before the March 15 announcement. 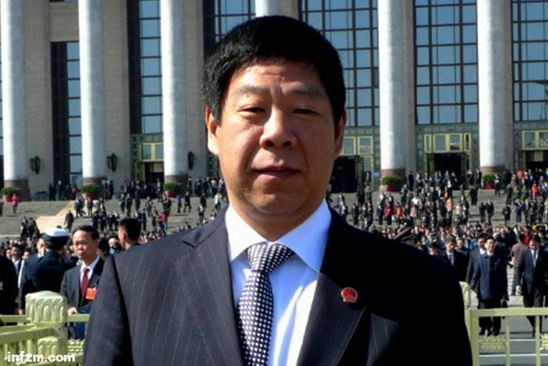 Liu Weigao was a Jiangsu provincial representative to the National People’s Congress, but he was absent from this year’s recently concluded meetings in Beijing. Many sources told to Southern Weekend reporter Xiu Lu that long before this year’s Spring Festival, Liu had already been taken away for official investigation. Meanwhile in Suqian (宿迁), Jiangsu, many had noted that most of Liu’s real estate and investment projects had already come to a standstill. Thirty years ago Liu Weigao got his start in Yiwu, Zhejiang. He then slowly made the transition from northern Jiangsu to southwestern Kunming. He started with a small company with registered capital of 5mn RMB (800,000 USD) which he then transformed into an empire of ten major firms valued at over 1bn RMB (150mn USD). This empire went by the name of Zhonghao, and now Zhonghao will forever be associated with the name of a fallen official. 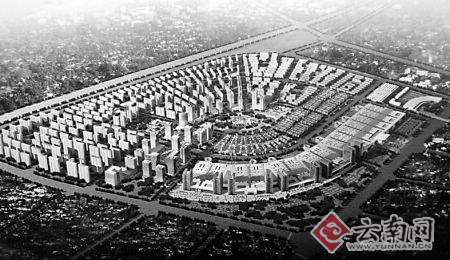 Among Zhonghao’s empire, the Zhonghao Luosiwan International Trade City （中豪螺蛳湾国际商贸城） is Liu Weigao’s magnum opus. Luosiwan International trade city is a golden line of connected buildings stretching for hundreds of meters and is located 15 kilometers from downtown Kunming. The locals prefer to call it Luosiwan （螺蛳湾）. New Luosiwan’s first and second phase buildings are five meters high with banners sporting the lofty slogans “Go Out into the World” and “Face the Future” hanging on its outer walls. Its entryways are cluttered by delivery companies and cargo trucks continuously drive in and out. Alongside of the complex are countless banks and hotels showing that “Asia’s top comprehensive commercial firm” (the slogan printed on Zhonghao’s stationery) was not built on the waves of a false reputation. 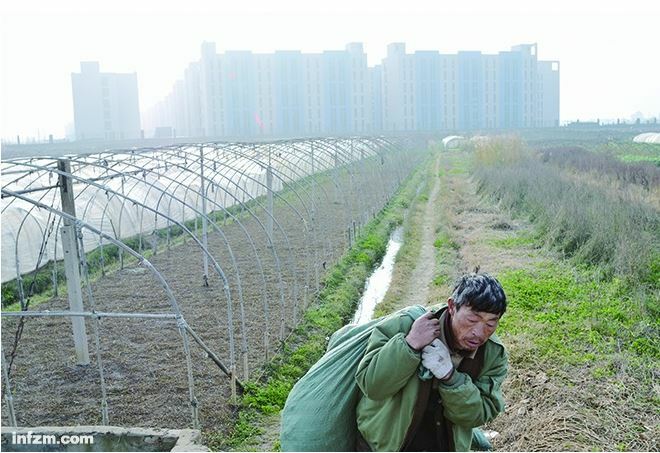 Five years ago, Luosiwan’s site was a barren farmer’s field located on the eastern banks of Dianchi, in Kunming’s outer reaches. Now with more than 5.8bn RMB (935mn USD) invested around Luosiwan, it’s more like a new city in the midst of development. Some praise Liu Weigao’s capabilities, but others look at him with disdain suggesting that without the government’s support behind him, he wouldn’t have such capabilities. In 2008, Zhonghao entered Kunming amidst the frenzy of a major building phase where the new Kunming Party Secretary Qiu He called for the demolition and rebuilding of 300 urban villages. In February 2008, a group of twenty-five businessmen from Yiwu, Zhejiang arrived in Kunming to survey commercial opportunities. This group was led by Liu Weigao. In May of the same year the group decided to begin to replicate the Suqian model of economic development, and set Kunming in its sites as its priority testing ground. Ground was broken on September 2008, and in April of the following year the roof was finished on the 1.2mn square meter marketplace which opened for business the following November. “Within one year, an investment miracle happened in Kunming. Kunming’s investment efficiency is very high.” This is how Zhonghao’s board chairman, Liu Weigao appraised Kunming’s investment atmosphere at the May 9, 2009 annual meeting of Zhejiang investors. This type of speed was not made possible without the “kind efforts” and support of the Kunming government. According to a report in the Kunming Daily, to promote the development of Luosiwan International Investment City, the Kunming municipal government set up a leading small group to hold regular meetings to follow up on the progress of related projects and to assist with problem solving when the project came across difficulties and challenges. A farmer tends his fields near the New Luosiwan site. For the three years after 2008, Zhonghao “attacked the city and seized territories” repeatedly grabbing extremely cheap land with extremely low effort. Public reports show on September 23, 2008, the Kunming municipal land bureau auctioned off seven parcels of state land totaling 877 mu (58 hectares) at a value of 780mn RMB (125mn USD). Within five minutes the only bidder at the auction, incidentally from Zhonghao, purchased the land. The construction of New Luosiwan’s first phase was secured. A portion of this was farmland belonging to Hongren village. Li Zhaorong, a villager from Hongren, recalled in a Southern Weekend report that at that time the government told villagers the use of the sold land was for public purposes. The government did not mention the construction of Luosiwan. At that time the standard for land compensation was 160,000 RMB (25,800 USD) per mu, but in the end villagers in Hongren only received 60000 RMB per mu (9677 USD). Zhu Xiaoyang, a professor from Peking University’s sociology department, conducted long term research on Hongren village and was a witness and participant in the resistance movement inside of Hongren. She claims that at the time villager were compensated, surrounding land was valued at least 1.5mn RMB (241,000 USD) per mu. When New Luosiwan opened for business, the old Luosiwan market in downtown Kunming announced its closing. There was only one reason for closing –for the betterment of the New Luosiwan. The official explanation was to “comprehensively direct vendors in their transition to the new Luosiwan.” According to a Kunming Daily report, the Kunming Municipal government put on a special closing event for the Old Luosiwan market on November 17, 2009 two weeks before its official closing date. At the event, the government head of Xishan district (where the old market was located) proclaimed the completion of the New Luosiwan Market. He urged the vendors still operating at the old market to positively support and follow the directives of the Kunming municipal party and government organs. He displayed confidence in the future of New Luosiwan. But this only one side of reality, as many vendors resisted the forced relocation. Yet their efforts had little effect. Former Yunnan CCPCC Vice-chairman Yang Weijun remembers receiving the vendors’ petitions. From the perspective of an old Kunminger, the demolition of the old Luosiwan market entirely was a mistake of the sitting municipal leadership. “The old Luosiwan market had more than twenty years of history and received more than 200,000 customers per day. 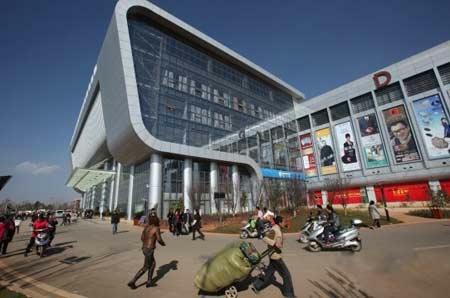 It was the largest distribution center for everyday commodities in all of Yunnan and perhaps all of Southwest China. How can you just shut a place down with business as good as that? And then move 15 kilometers out into the suburbs?” he told Southern Weekend reporters. No outside protests were going to stop Liu Weigao’s New Luosiwan project. In fact, the deeper his steps, the larger the project grew. In March 2010, a land sale’s sole bidder, again representing Zhonghao, grabbed four parcels of land for 1.07bn at 1.8mn RMB per mu (290,000 USD per mu) to be used in the Luosiwan’s second phase. One year later at another land auction, the only bidder, also from Zhonghao, bought up twenty-seven parcels of land totaling for 6.4bn at 3.5mn RMB per mu (564,000 USD per mu). That auction lasted less than three minutes. A Southern Weekend report revealed during the construction of New Luosiwan’s 2nd and 3rd phase, not all of the land was used to build the commercial space. A portion of the land was used to build private real estate. For example, in the 3rd phase among the twenty-seven parcels of land purchased, only eight were used for commercial purposes. Eleven were used for residential space. Taking commercial land and illicitly converting it for residential purposes has been an unspoken rule of the real estate industry for years. Zhonghao is known to exploit this rule to the extreme. 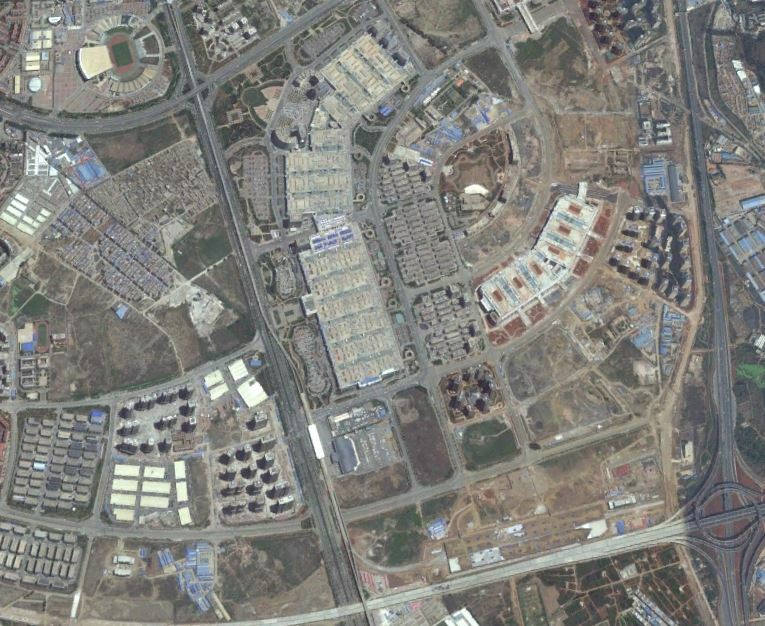 On Luosiwan’s grounds, Southern Weekend’s reporters observed that Zhonghao’s real estate projects occupy the periphery, and possibly in aggregate outsize Luosiwan’s commercial space. In February, 2010 Liu Weigao established the Zhongwang（中望） real estate company with a registered capital of 250mn RMB (40mn USD) with Zhonghao as the majority shareholder. 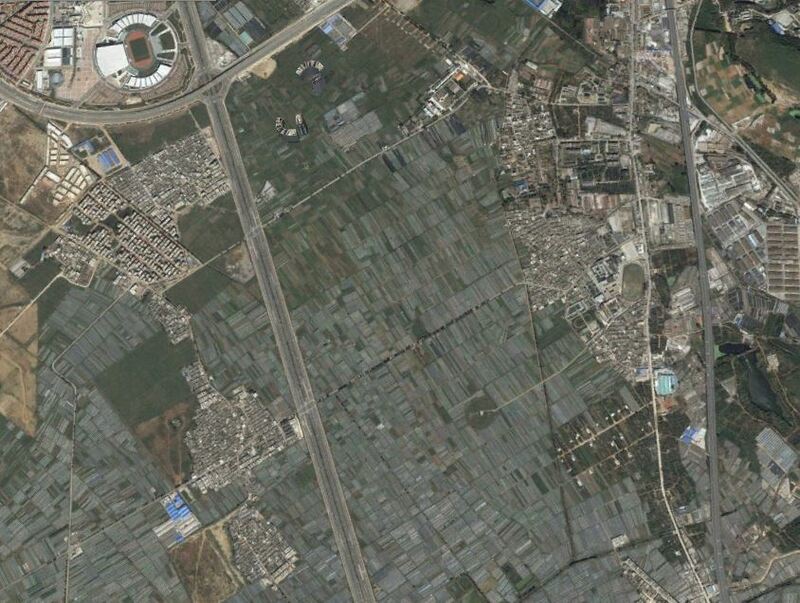 Zhongwang’s first project was the 1500 mu (100 hectare) Zhongwang City （中望城） – across the street from New Lousiwan. Zhongwang City’s first phase construction was unsurprisingly smooth. In August of 2014, Zhongwang purchased the largest parcel of land for sale that year at 1.79bn RMB (288mn USD). The land is located in Yiliu subdistrict’s Wula village in Guandu District and was comprised of nine parcels of land totaling 569.47mu (38 hectares). Because of this purchase Zhongwang was named Yunnan’s land king. The auction was the same as previous years – only one bidder from Zhongwang was present. Google satellite image of future New Luosiwan site, 2007. Tami, Wula, and Hongren villages occupy the periphery. Google satellite image of New Luosiwan site, 2015. Only Hongren village remains near the upper left corner. But surveys conducted by Southern Weekend discovered that Tami village, Wula village, and Hongren village, all affected by the New Luosiwan project were in fact not zoned as “urban villages.” They were only torn down after the Yiliu sub-district applied to the Guandu district government for demolition. An internal document from Guandu District reads that on November 3, 2009 the Guandu office responsible for speeding up urban village demolition approved the request of Ailiu sub-district and agreed to proceed with the destruction of the three villages. The Guandu district government has always been responsible for taking the lead on demolition related to the New Luosiwan project. Zhonghao, from beginning to end, has never been at the front of the action. Li Zhaorong says he’s never seen Zhonghao talk directly to the Guandu government, but in actuality Zhonghao has always been behind the curtain providing support. According to many documents acquired by Southern Weekend, Zhonghao’s people have participated in the entirety of the planning related to demolition in Guandu district. The minutes of meetings regarding demolition related to the New Luosiwan project show that Chen Hongbing, Wang Zaizhang, Xu Dingsheng, Chen Qianfei （陈红兵、王存章、徐定生、陈钱飞）were in attendance. All four are upper management at Zhonghao. In another internal document procured by Southern Weekend, eleven Zhonghao employees were listed on the roster of Hongren Village’s demolition team. They were sent from Zhonghao’s finance, cartography, and office departments. The demolition progress hit a snag when it reached Hongren village. Among 1300 families that lived there, only sixty agreed to move. Hongren village had just been built according to regulations related to the construction of China’s new socialist countryside program. Those living there had only recently moved in, yet now their homes faced immediate demolition. The villagers were not interested in an extra cent of compensation to coax them to pick up and move again. The demolition of Hongren village was to be carried out by its own government office. On May 20, 2010 at 9:00am, forceful demolition of Hongren village was begun. Headed by the demolition team from Hongren village government – more than 500 chengguan, guards, and policemen were on hand. Zhonghao had five employees on site to oversee maintenance and provide material support. Amidst the chaos, one villager was blinded. Li Zhaorong was one of the “Five heroes who resisted demolition” (抗拆五君子). He recalled to Southern Weekend reporters that one of the other “heroes” Li Xiong was beaten by three unidentified persons in the middle of the night. Three others were sent to the local jail and not released until the next morning. Not only did Zhonghao grab the homes of villagers. It also swallowed land previously purchased by other real estate developers. Sources close to the situation have told Southern Weekend that it was industry owners and government officials who blew the whistle on Liu Weigao. Many people are clear that the completion of New Luosiwan was a replication of Liu Weigao’s investment experience in Suqian, Suzhou. Looking back at Liu Weigao’s journey, Yiwu was where he got his start, but Suqian was his realm of fortune. Media reports suggest that Liu Weigao is from Suqian’s Shuyang county, but there is no certainty to this information. Southern Weekend can report that Liu Weigao was born in Qingyanliu village in Zhejiang’s Yiwu City. Interestingly Qingyanliu Village is famously known as the “Number one village for online vendors” (网店第一村). With only a high school education, Liu Weigao got his start selling socks. After a ten year struggle, his Zhejiang Suli company registered in 2003 with an initial startup capital of 160mn RMB (25.8mn USD). In that year, Zhejiang province stopped the approval of new industrial land and Liu’s sock industry faced the risk of losing his supply of capital. This shock forced Liu Weigao to Suqian and ultimately is responsible for his rise. This time was also a positive period for Suqian’s fortunes. In 1996, Suqian was the poorest of Jiangsu’s thirteen cities. That year Suqian’s leadership began to attract investment by promoting the city for economic development to outside investors. Liu Weigao traveled from Yiwu to Suqian to conduct investment surveys two days after receiving an invitation from Suqian officials. He decided to invest in the city’s economic development zone and expand his sock industry. Three years after settling in Suqian, he began to search for other investment opportunities. At that time Suqian was home to an old wholesale market established in 1997 with an area of 130,000 square meters. Its market base was weak, product selection narrow, and was lacking in both customers and vendors. Although the Suqian government provided numerous policies to promote commercial activity, in 2005, the market’s commercial sales were less than 500mn RMB (80mn USD). Then Liu Weigao proposed to build a new market on the site of the old one, but this plan would restrict the scale of the market’s potential. Later, the city government sold him a parcel of land in which Liu Weigao invested 2.6bn RMB (420mn USD) to build a brand new, bigger market. This market was a direct copy of Yiwu’s successful small commodities market. Liu Weigao was eager for the world to know of his new project. In 2006 Suqian celebrated its tenth anniversary as a municipality. Liu Weigao’s market was complete with a physical area of 1.46mn square meters. In August 2006, China’s most popular television show “One Song”(同一首歌) came to Suqian. At the Suqian taping Liu Weigao spent an estimated 8mn RMB (1.3mn USD), and because of this he shot to stardom gaining the reputation of the wealthiest businessman in Suqian. From 2002 onward “Attracting financing and investment” was the top priority for economic development according to Suqian municipal government. The taping of “One Song” was a perfect way to hit the government’s objectives. After airing on China Central Television, Suqian’s image received a major boost. 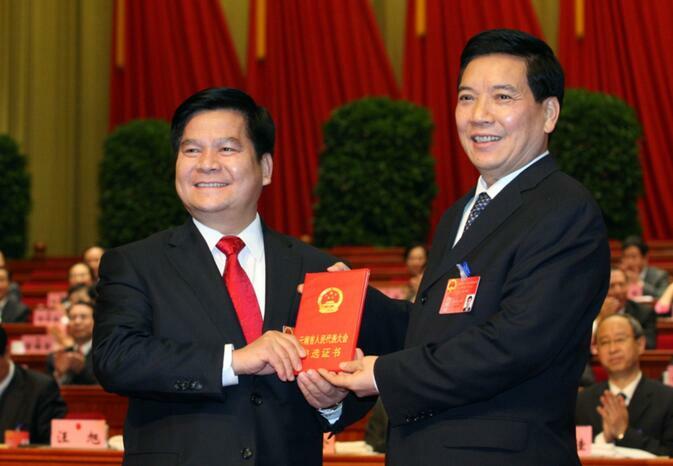 One month after the taping, Liu Weigao was honored as a “Top Minister for City Construction” (建市十大功臣) at the municipality’s year-end meeting. Moreover, the license plate number, N00000, on his ostentatious Rolls Royce suggested that he did not simply enjoy a typical relationship with the local government. He was the talk of the town. From here, Liu Weigao’s investment in Suqian expanded. He began to expand his scope of real estate investments and won contracts to build many government and public buildings. He easily bought up parcels of land in Suqian’s most valuable downtown areas, particularly those close to Xihu Road (西湖路). Here he built the giant Zhonghao International Market （中豪国际广场） and Zhonghao International Mall （中豪国际星城） and afterwards began construction on Phoenix City（凤凰美地）, a giant real estate project, in addition to other projects. After he invested in Kunming, Liu Weigao returned once again in 2010 to invest in Suqian. This time his proposed project was even bigger: the 11 square kilometer Canal Cultural City – a mixed commercial residential site with a large exhibition center and more than twenty tourist sites. It was known as China’s largest Grand Canal themed project. In Suqian, Liu Weigao went by the nickname “Liu Half the City” （刘半城）. Others in private quarters called him the “Godfather of Urban Construction”(城建教父 ). According to the report of an anonymous high-level Suqian official, Liu Weigao’s motivations for returning to Kunming were unclear, but one can assume his endeavors in Kunming had reached high levels of success. Otherwise he would not have been able to make such an enormous investment in the Canal Cultural City. In August 2014, Zhonghao’s annual commercial income reached 35bn RMB (5.6bn USD) ranking it as the top private firm in Yunnan province. Zhonghao was also in preparation to list its holdings on the Hong Kong stock market. But last October Kunming Municipal Land and Resources Bureau (国土局) issued a list of twenty-five firms which owed money on land deals. One of those firms was Zhonghao. It is critical to note that prior to this announcement, Kunming’s top leadership had been reshuffled in Xi Jinping’s anti-corruption drive. Opposite from his Kunming experience, back in Suqian, Liu Weigao continued to rein in honors and political resources. In 2013 he was selected as a Jiangsu Province representative to the Chinese National People Congress. Liu was one of only six representatives from Suqian. On October 1, 2013 Liu Weigao’s theme park, Canal Paradise (克拉嗨谷), opened on the grounds of the Grand Canal Cultural City. With a total size of 450,000 square meters, it is known as northern Jiangsu’s largest theme park. After an initial positive reception, the interest in the park has gradually lessened. Tickets cost 150 RMB per person and many in Suqian remark that the park is too expensive. Google satellite image of a portion of the Canal Cultural Park. 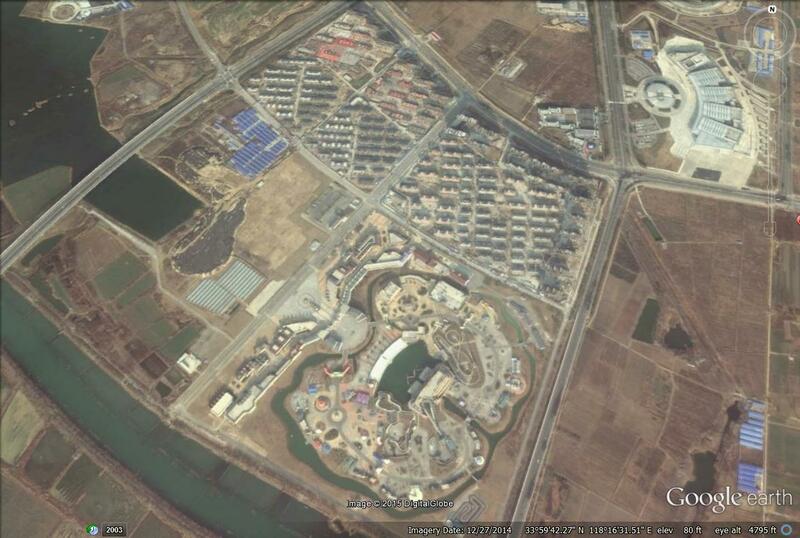 Liu Weigao’s Canal theme park is center bottom with the Tianxi real estate developments bordering above. In addition, most of the commercial space for rent at the park’s entrance is empty. Those who do conduct business there are barely getting by. A manager of a local restaurant told Southern Weekend reporters that rent for a 100 square meter space is 30000 RMB (4830 USD) per year. But she has less than three or four customers per day with some days attracting no business at all. A nearby shop posted a “for rent” sign on its doors only after doing two months of business. To date, no one has responded to the offer. Kunming’s New Luosiwan Market is equally quiet. The deeper you walk into it, the more you discover it’s a ghost town. Inside New Luosiwan’s second phase building, Southern Weekend reporters discovered that most of the stalls above the third floor are empty. One of the stall owners said he’s losing money daily, not even making enough to pay rent. The finished sections of phase three are even more barren. Surrounding phase three are real estate projects as big as several football pitches. Some have finished work while some are still under construction. Very few people are moving in. At the end of 2014, word on the Suqian’s streets was that Liu Weigao’s capital flow was on the rocks. A source close to the situation told Southern Weekend reporters that banks were tightening their debt structures and forced Liu Weigao to pay back a portion of his own debt. They had no further loans to issue him as well. Another source close to Liu Weigao told Southern Weekend reporters that at this time Liu Weigao’s capital was drying up. Liu realized at meetings in both Kunming and Suqian that he was being treated differently and was caught weeping several times. A reliable source also told Southern Weekend reporters that early in January 2015, Liu Weigao had been taken away for investigation by Zhejiang’s Commission on Discipline and Inspection. At that time, Suqian municipal government began to find other firms to finish a portion of the construction projects previously started by Liu Weigao. Another source told Southern Weekend reporters that in the last two years Liu Weigao’s capital flow began to dry up as Kunming’s pace of development slowed. Many of Liu Weigao’s cooperative partners defaulted on their debt payments. The government of Yunnan completed a reshuffle of its top members a bit more than two and half years ago amid some confusion. At the time, Kunming’s golden boy partysecretary, Qiu He (仇和), received what appeared to many to be an improbable demotion. It’s déjà vu all over again as the Communist Party’s top man in the province has been relieved of his office without an accompanying explanation. During a high-level meeting of provincial party cadres held October 14 in Kunming, it was made public that Qin Guangrong (秦光荣), party secretary of Yunnan, would be replaced by sitting governor Li Jiheng (李纪恒). Generally, such power handovers are quickly followed by news of a departing bureaucrat’s next job posting. In Qin’s case, no such announcement has been forthcoming. Qin’s departure was conducted without any apparent rancor and the outgoing party boss gave a lengthy speech in which he said he was thankful for his 16 years of public service in Yunnan. He first arrived in the province in 1999 after a governmental stint in Hunan. 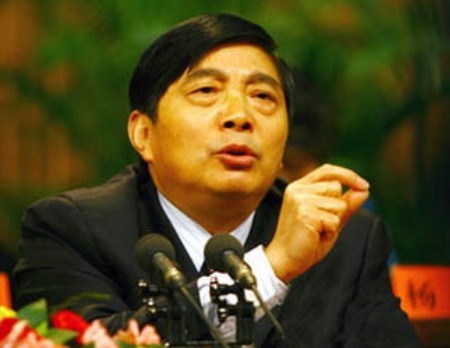 Qin was then named governor in 2007 and provincial party head six years later. The newly anointed Li also addressed the meeting and thanked his predecessor for what he deemed Qin’s “practical” approach and “heartfelt and sincere” service. Li also took the time to welcome his heir-apparent and relative newcomer, Chen Hao (陈豪). Chen had previously been deputy-head and party secretary of the All-China Federation of Trade Unions (中华全国总工会), the largest organization of its kind in the country. Qin’s time in office will most likely be remembered for environmental issues. During the entirety of his time as provincial party head, Yunnan suffered from a recurring and often crippling drought. Qin was a vocal proponent of rerouting water from the Jinsha River (金沙江) towards Kunming in the dual hope of alleviating city water shortages and flushing away the algae blooms that have become a permanent feature of Dianchi Lake. The secretary also had a hand in aggressively implementing Beijing’s Bridgehead Strategy — a multifaceted program aimed at strengthening the province’s economy through international business and trade. However, when all is said and done, history may judge Qin guilty by association with several governmental colleagues — including his predecessor — who have recently been embroiled in corruption scandals. This article was written by Patrick Scally and originally published in GoKunming on October 15, 2014.